Dinamo Moscow have been underwhelming in the Russian league this season sitting just a single spot outside the relegation places. This is to be expected after the financial and administrative mess the club found themselves in recent years. Having qualified for the Europa League 3 seasons ago the Russian club was thrown into turmoil when UEFA kicked the club out of the tournament for breaching FFP regulations. Posted on March 5, 2019 by index and tagged Aleksei Ionov, Roman Zobnin, Yuri Zhirkov. Russia international player Yuri Zhirkov believes that the national team needs to improve on the international scene. He said that the team performance was really bad at the last World Cup and it is important that the federation work on that. The former Dynamo Moscow player said that there is so much potential in Russia but it is sad that it is not exploited at the maximum. He believes that the Russian football federation should be investing more money in the development of grassroots football so as to help the national team in the long run. Posted on February 27, 2019 by index and tagged dynamo moscow, Russia, Yuri Zhirkov. Zenit St Petersburg star Oleg Shatov has indicated that team are eager to secure a victory over Rubin Kazan during their final home game of the calendar year. The Russian heavyweights are currently leading their league standings with a two-point gap over Krasnodar and they have the opportunity to maintain the advantage against a defensively-minded Kazan this weekend. Speaking to reporters, Shatov highlighted that the team want to play with full dedication for the club’s supporters with the weekend game being the final one before the long winter break. However, the midfielder acknowledges that the club have a tricky contest against Kazan who have drawn 10 of their 16 league matches and they cannot expect an easy ride over the weekend. Posted on December 13, 2018 by index and tagged Oleg Shatov, Rubin, Zenit. Former Arsenal midfielder Andrey Arshavin, who was the first player to score four goals at Anfield in more than 60 years, has officially announced his retirement from professional football. Posted on December 3, 2018 by admin in Russia and tagged Arsenal, Arshavin, Liverpool. Marco Silva has confirmed that Nikola Vlasic could have a future with Everton once he returns from his season-long loan with Russian giants Spartak Moscow. The 21-year-old joined the Toffees from Hajduk Split during the summer of 2017 but he did not have the best of debut seasons as he managed just 11 matches under three different managers. With the appointment of Silva, Vlasic was offered a temporary switch to Russia as he could not assure him of regular gametime and the Croatian has certainly taken the opportunity with both hands with a flourishing start to the season which has included a Champions League winner against Real Madrid. Posted on October 17, 2018 by index and tagged Gylfi Sigurdsson, Nikola Vlasic, Richarlison. Russian Premier league has been dealt with a blow after the loss ofQuincy Promes from Spartak Moscow. The Dutch international has decided to move to La Liga outfit Sevilla and he has been able to convince the Russian Premier league team to sell – even when his contract runs for the next three years at the least. The 26-year-old was the top scorer for Spartak Moscow last season and his departure is a major blow for the club. This does spell good news for the likes of Dynamo Moscow, who will be looking to take advantage of with some impressive set of results in the league. Spartak management has revealed that they have decided to accept the offer after considering the player’s wish to play for Sevilla. 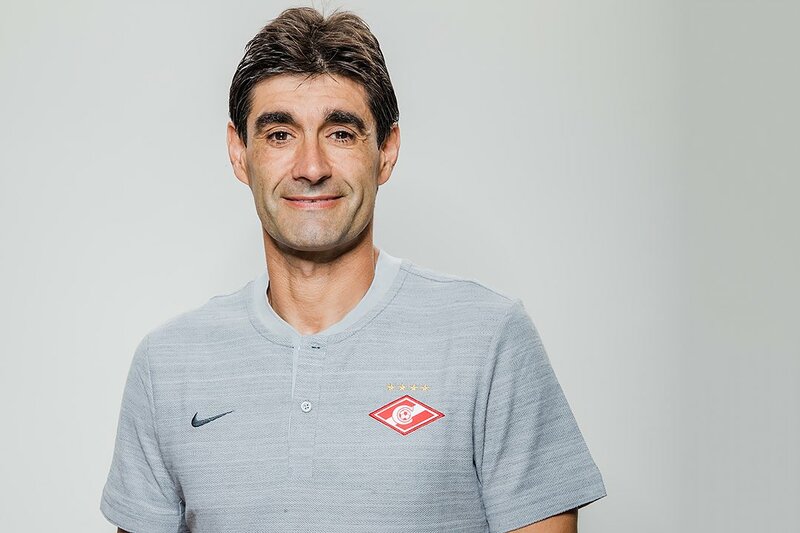 Since he has been extremely crucial to the successes achieved by Spartak Moscow in the last couple of years, they have decided not to stand in his way. It is reported that Spartak Moscow have agreed a fee of around € 20 million for the transfer of the midfielder. After moving to the Russian team in 2017, the midfielder came up with 66 goals in just 135 matches. Last season, he contributed 15 goals in the league and ended up as the top scorer in the league. This helped him pick up the Player of the Year title last season. Posted on September 10, 2018 by index and tagged Liga, Sevilla, Spartak Moscow. Russian footballer Yuri Zhirkov has decided to call time on his international career following the country’s exit from the summer World Cup. The Russians exceeded the initial expectations to reach the quarter-final of the tournament where they were eventually ousted by Croatia in a penalty shoot-out. Posted on August 13, 2018 by index and tagged . Sergei Ignashevich, Aleksandr Golovin, Denis Cheryshev. 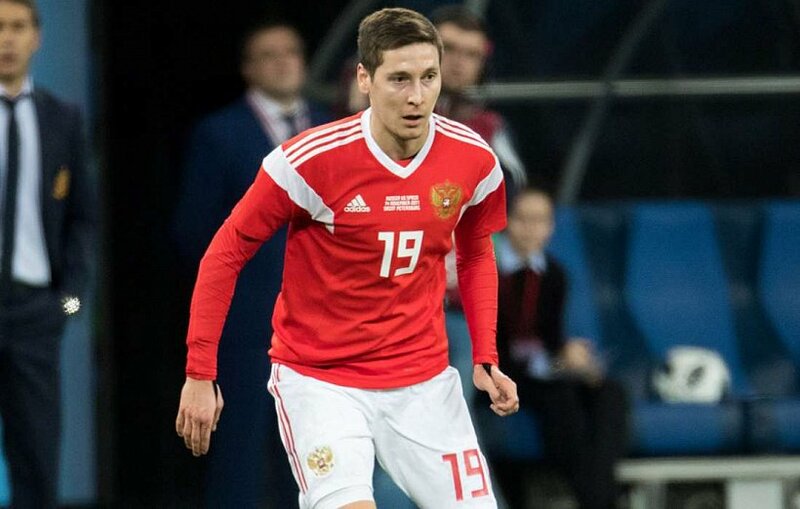 Russian defender Daler Kuzyaev has admitted that the team is wary of the threat Spain may provide during their round of 16 clash. The hosts had begun the tournament with convincing wins over Saudi Arabia and Egypt but they could not maintain their lead after a disappointing 3-0 defeat to Uruguay in the final group stage game. Posted on July 26, 2018 by index and tagged Daler Kuzyaev, La Roja, tussle. Yuri Zhirkov is a major doubt for Russia’s upcoming World Cup game with Croatia. This is a quarter-final clash that could ultimately replace the show into the semifinals – a feat that they last achieved during the Euro 2008 competition. Zhirkov was a surprise candidate in the Russian national team squad, but the former Chelsea winger has certainly justified his inclusion by being able to perform admirably over the course of the tournament. He played a crucial role in the victory over Spain on penalties. It was one of the remarkable results for Russia, as they were facing backs against the wall for much of the 120 minutes before winning the game on penalties. However, a major issue for Russia was the injury forZhirkov during the game against Spain. The Zenit St Petersburg defender appeared to suffer a serious injury which has now been diagnosed as an inflammation of a calf tendon. It is expected that this injury will take at least a couple of days in order to cure and this leaves Russia in a very troublesome position as fast World Cup qualification is concerned. With a lot of expectation arising surrounding the national team, Russia will be expected to perform even better than they have done over the course of the campaign. They now have to deal with the absence ofZhirkov. It is expected that the defender will be replaced by Vladimir Granat in the upcoming game against Croatia. Posted on July 20, 2018 by index and tagged Petersburg, Vladimir Granat, Yuri Zhirkov.